Yogies Playhouse is a 54-place centre caring for children from 6 weeks of age to 6 years. The centre has three dedicated rooms, each catering for the care and development of a specific age range. The Boo Boos room cares for children 6 weeks to 2 years of age. 2 to 3 year olds play and learn in our Rangers room. Our 3 to 6 year olds play, learn and grow in the Yogies room. All rooms are staffed by dedicated, qualified staff who design and implement activities based on the childrens’ interests and developmental needs. Each room has a Room Leader who coordinates all aspects of the room. Each room runs a program based on the EYLF (Early Years Learning Framework) which is always on display for parents and visitors. We also incorporate a computer program into our Rangers and Yogies room to both enthuse and stimulate learning as well as to provide a sound basis for School Readiness. 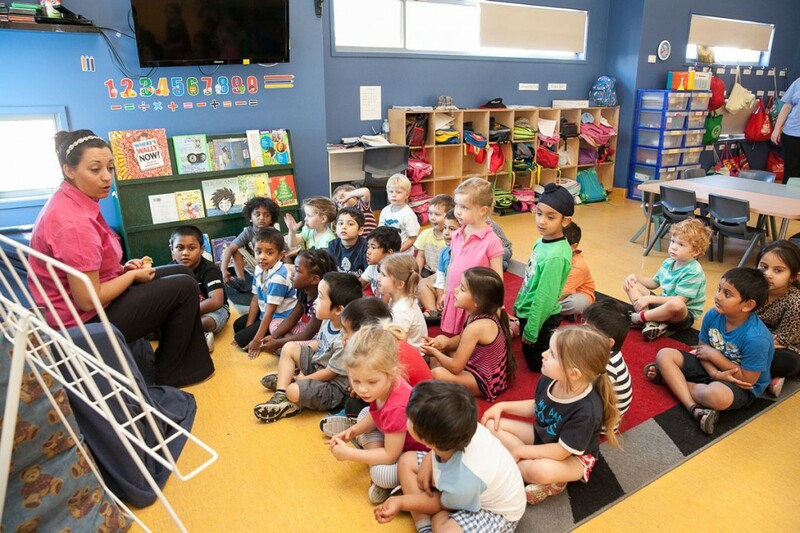 We have a comprehensive School Readiness program in the Yogies room which prepares children socially, emotionally and academically for the transition to School. Yogies Playhouse strives to be an inclusive centre, where all children are cared for, while also respecting cultural and religious variances. At Yogies Playhouse we provide healthy and well balanced meals that have been planned using NSW Health Department guidelines. We strive to provide variety, while allowing children to experience culturally diverse menus as well as meal experiences which help to develop independence and self help skills. Dietary restrictions are also catered for. Breakfast, morning tea, lunch, afternoon tea and a late snack are all prepared and served fresh daily. The Parent Handbook is the comprehensive reference point for your questions, but should you have unanswered questions, please do not hesitate to contact us. The centre is open for 50 weeks of the year. 7a.m. to 6p.m. Monday to Friday. How do I enrol my child at Yogies Playhouse? We recommend that before deciding to enrol your child, you come and inspect the centre. We will then sit down with you and discuss your childcare needs, answer any questions and then review availability. Once the decision is made to enrol, it is necessary to complete an Enrolment Intention Form and secure a place by paying the bond and administration fee. An Enrolment Form then needs to be completed and returned with the child’s Birth Certificate and Immunisation Record. Copies will be made and then we are ready to start! How will I know that my child is learning and developing? Each day the teachers forward to parents an email titled ‘Daily Reflections’ which is a summary of the days events and activities. These activites are also reflected in the Program, and linked to the Early Years Learning Framework outcomes. The program is displayed outside each room. The Room Leaders also keep observational notes on all the children, and complete an Individual Observation on each child, with a Follow up, each month. These records are kept in each childs Portfolio. This is always available for parents to view and discuss. 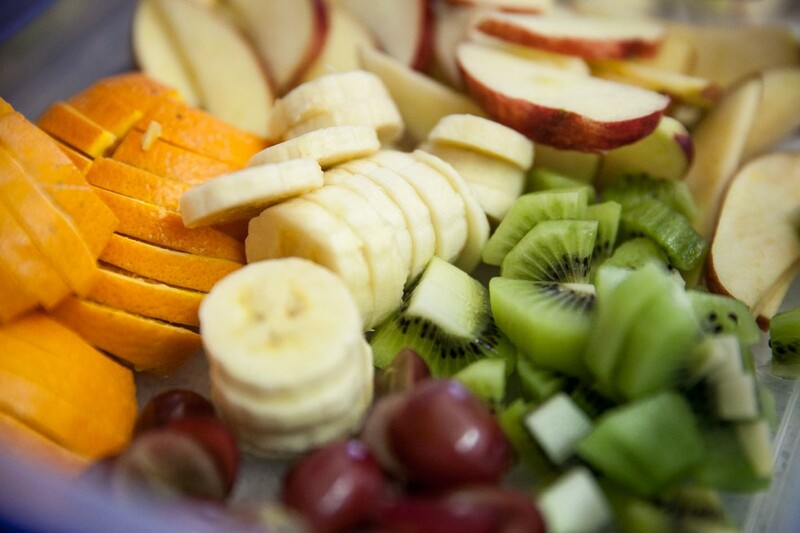 At Yogies Playhouse all meals are prepared on site using quality ingredients, while always being mindful of the nutritional needs of the children. The weekly meal plan, which is always on display for parents and children, is planned using the Nutrition Checklist for Long Day Care Menu Planning (NSW Dept. of Health). It aims to provide the children with a balanced and healthy selection of meals with a diverse variety of meal experiences. Meal times are an opportunity for the staff to share with the children healthy eating practices. Children are offered and encouraged to try various menu items, but we understand that at times, fussy eaters may need an alternative to what has been prepared. An alternative, such as a sandwich, is always available. Milk (cows or soy) and water are offered at meal and snack times. Children’s special dietary requirements can be accommodated and generally do not pose any problem. Meals are regularly modified to respect religious practices and address medical restrictions. We fully respect and support parents preference to provide their own food for their child, and this is not an uncommon practice. Halal meat is not provided. Children should not attend the centre if they are unwell. When a child is unwell, they need extra care, which we are not staffed to supply. If a child is deemed to be unwell, parents will be contacted immediately. This is to ensure the wellbeing of the child as well as the other children in the centre. Infectious conditions can quickly spread through a centre if children are not isolated and then removed from the centre.